Because of the textured nature and natural fibers of the material, all the seams on grasscloth are quite visible. So I try to place the seams in a “balanced” or evenly placed pattern on the wall. On this narrow wall that requires just one seam, I would normally put that seam in the center of the wall. 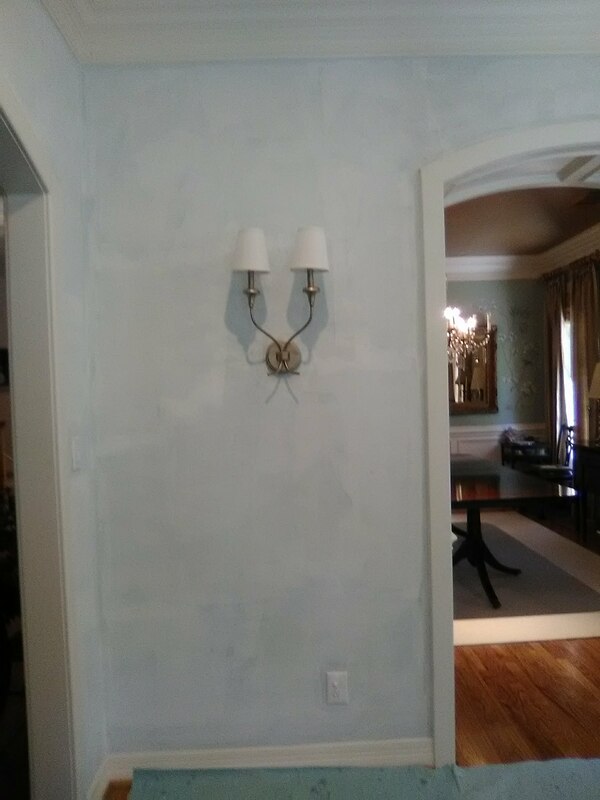 However, the electrician was unable to get the light sconce in the center of the wall, so the sconce was placed a few inches to the right of center. Dilema… Do I place the seam in the middle of the wall, or so that it falls centered on the light sconce? 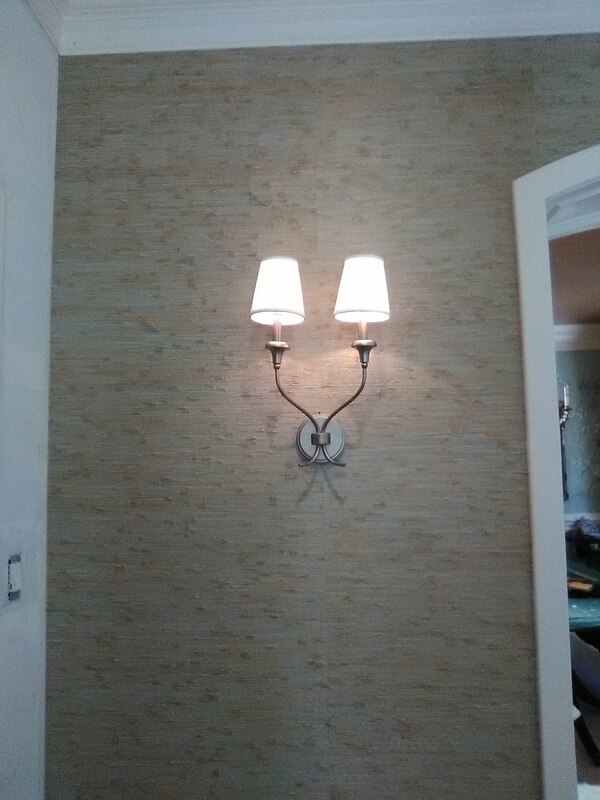 After deliberating with the homeowner, we decided it would look best to have the seam align with the light fixture. Seeing it finished, I agree that this was the best choice. This entry was posted on May 15, 2018 at 7:03 am and is filed under Uncategorized. You can follow any responses to this entry through the RSS 2.0 feed. You can leave a response, or trackback from your own site.